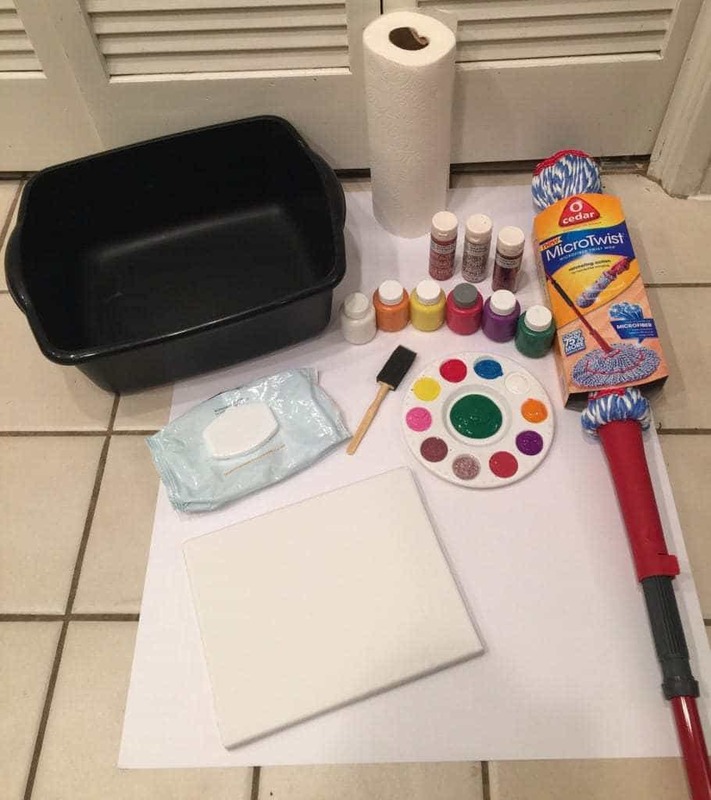 Christmas is a wonderful time to do arts and crafts with your children. Especially when they can roll up their sleeves (or in this case their pant legs!) and get dirty. Science has shown that children are more engaged and focused when they’re working on hands-on projects—even fidgety kids like mine. In fact, children learn through all their senses. As they do arts and crafts, and use familiar materials in new ways, they’re constructing meaning. But more than simply moving materials around, hands-on activities activate kids’ brains. 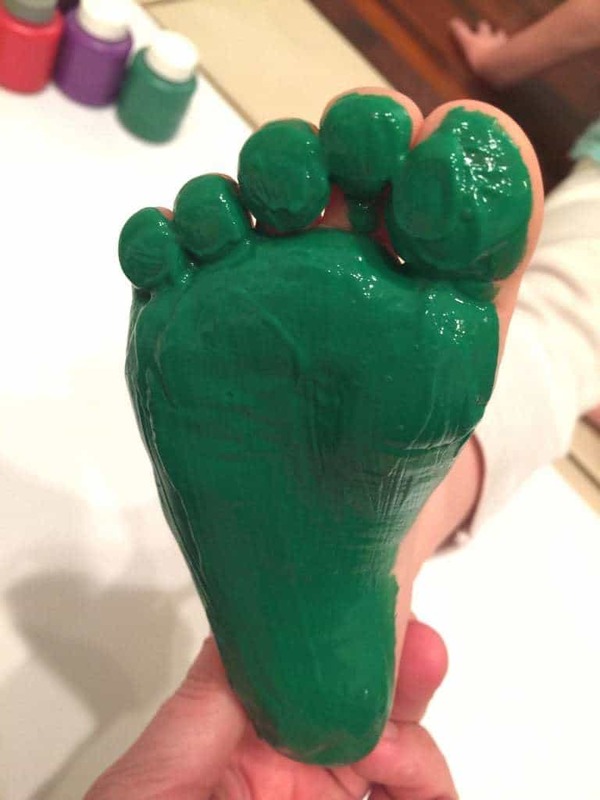 Now that’s a good reason to make a Child’s Footprint Christmas Tree over the upcoming holiday break when children are out of school. We can entertain and education them at the same time! Tonight Field Trip Girl and I made a Child’s Footprint Christmas Tree for her grandma for Christmas! 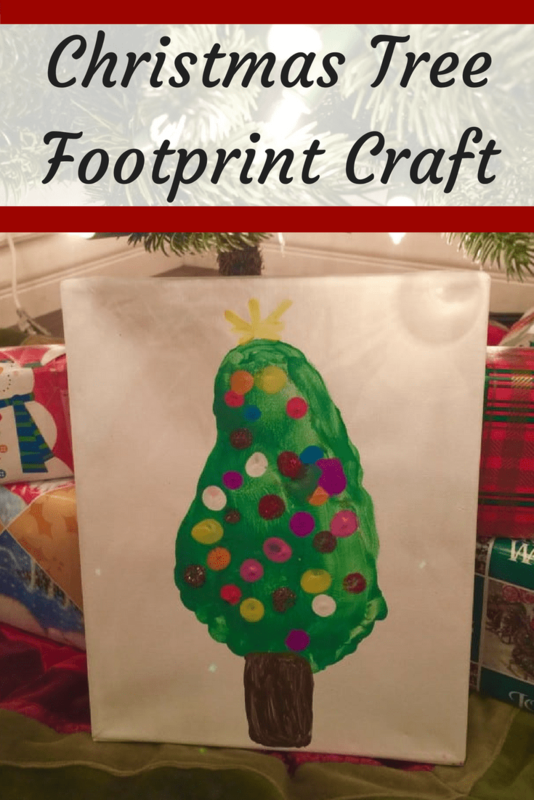 Any child can make a Footprint Christmas Tree along with a little help from mom or dad and friendly mop nearby. 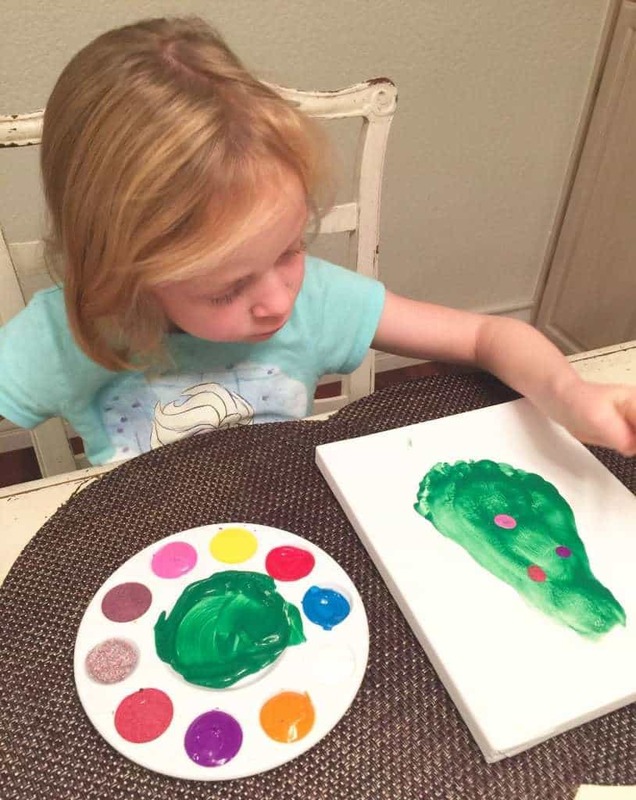 This project can also get a little messy, so make sure your child is wearing clothes that you don’t mind them getting paint on. A mop & bucket of water just in case you need to clean up any messes. 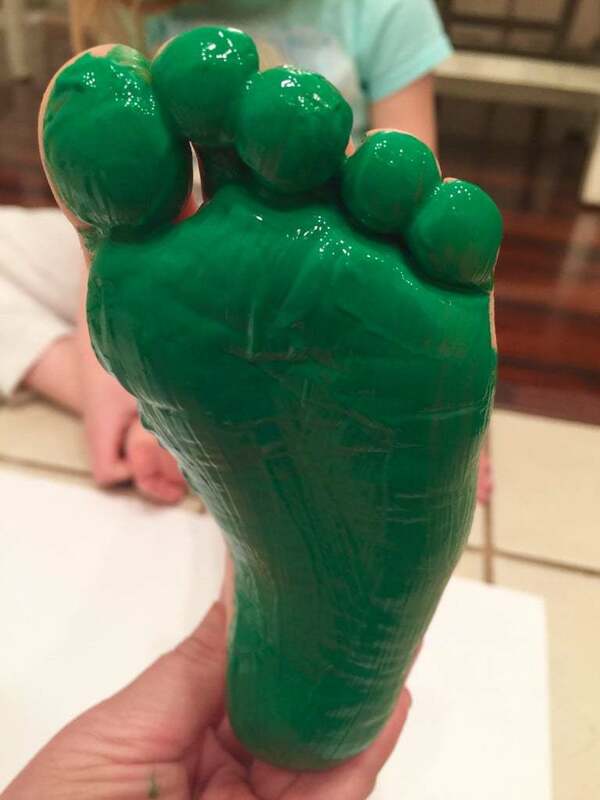 First, paint the bottom of your child’s right foot with green paint. 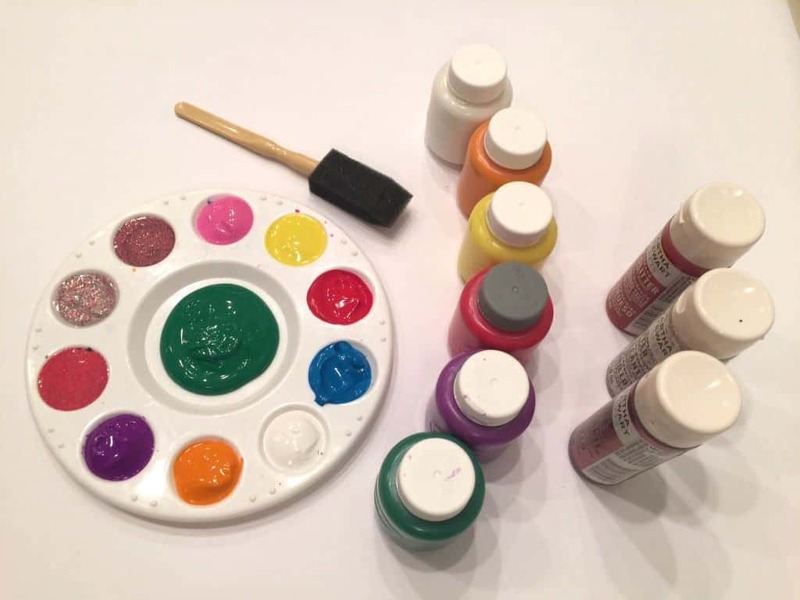 The more paint the merrier for this craft! 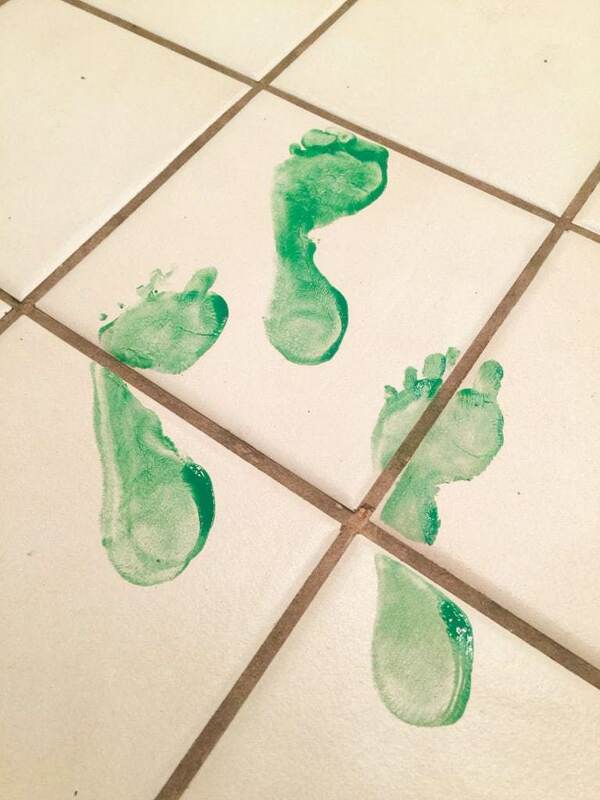 I also like to have add a little paint between the toes to make sure I get a full footprint on the canvas. 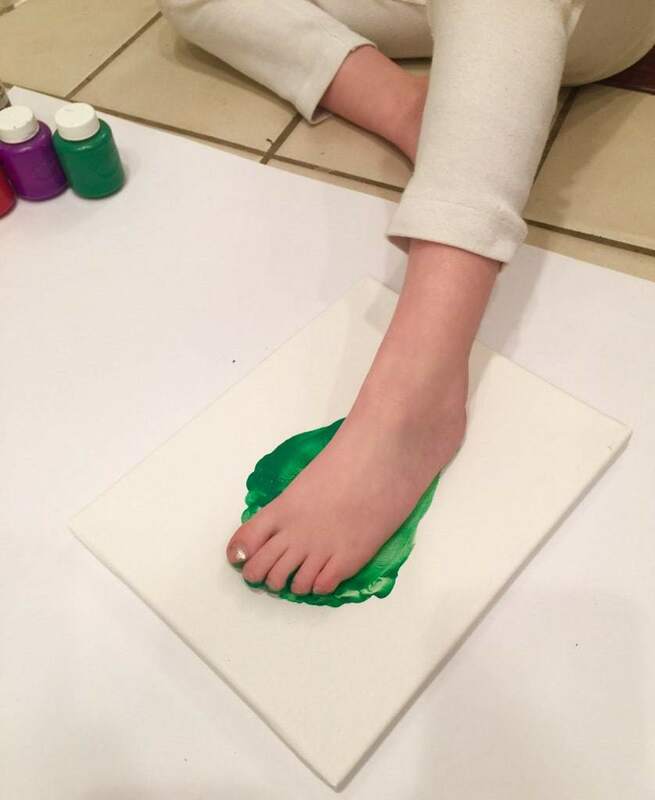 Next press your child’s foot down on the blank canvas. 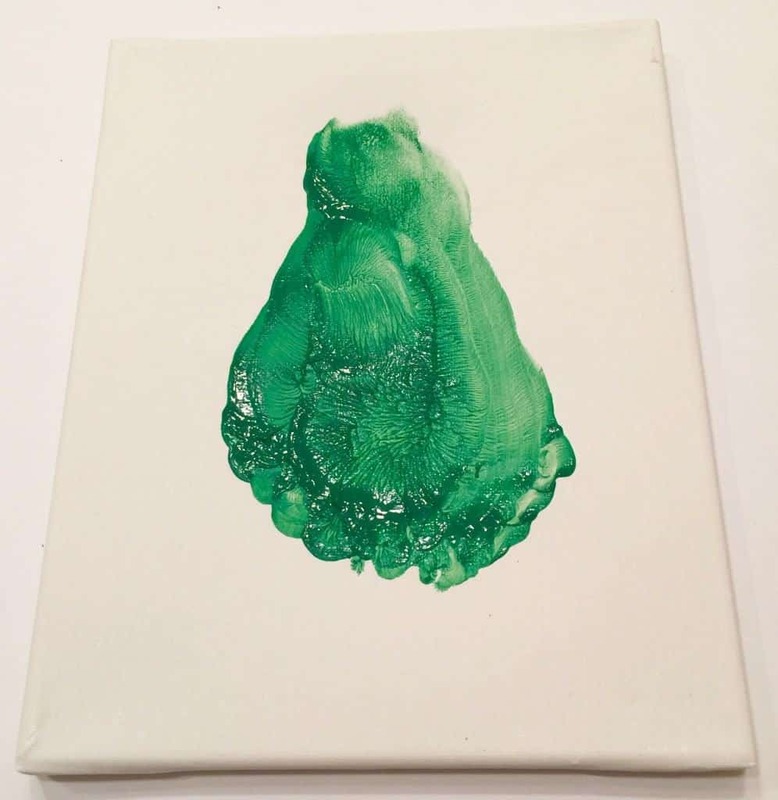 Paint your child’s left foot and press it down on the canvas. Now you should have a basic outline of a Christmas tree. Don’t worry about it looking perfect!!! 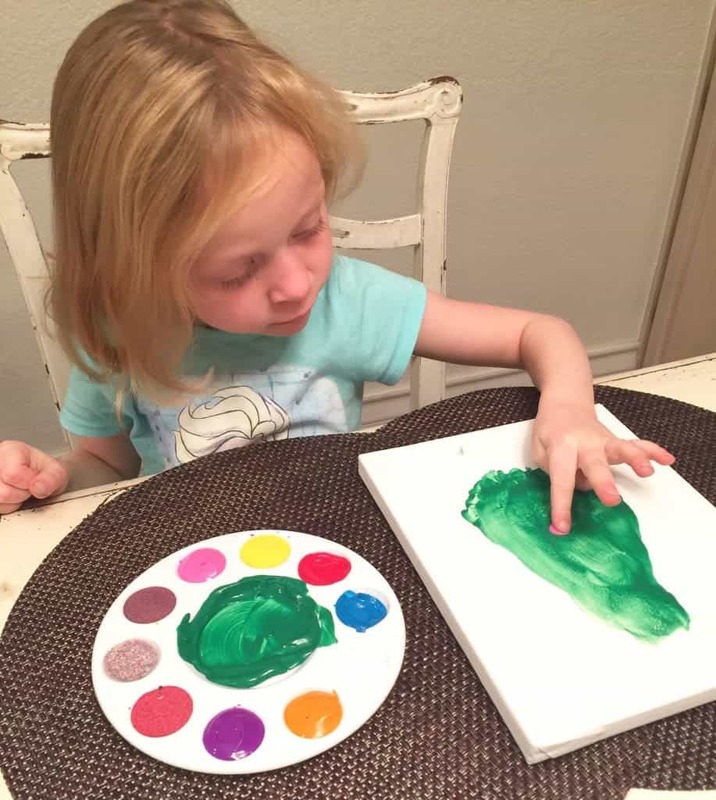 It is a child’s art project after all. Set it aside and let it dry. Have your child add a brown tree base and yellow star on the Christmas tree. 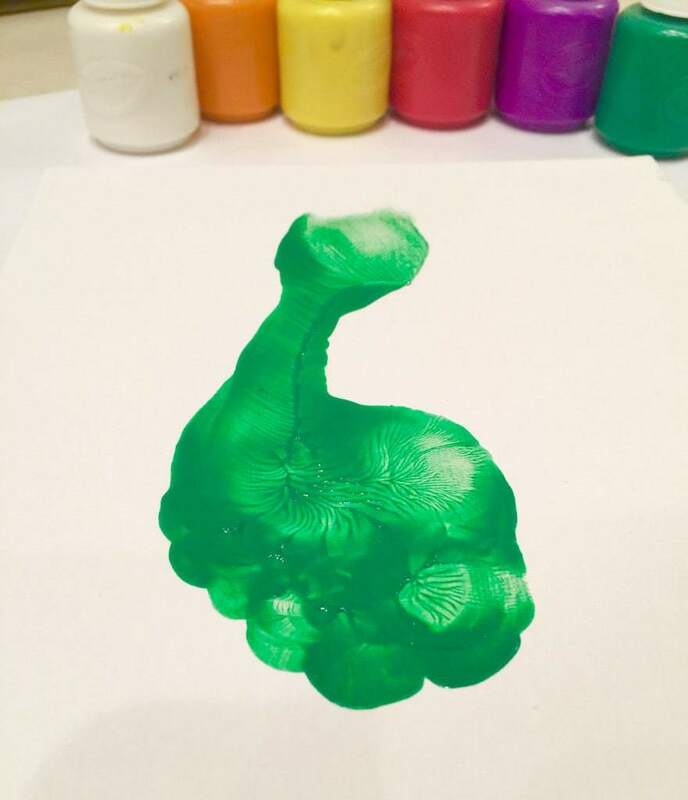 Finally, your child can paint Christmas ornaments to the tree by using their fingertips to make little round balls. Allow to dry. 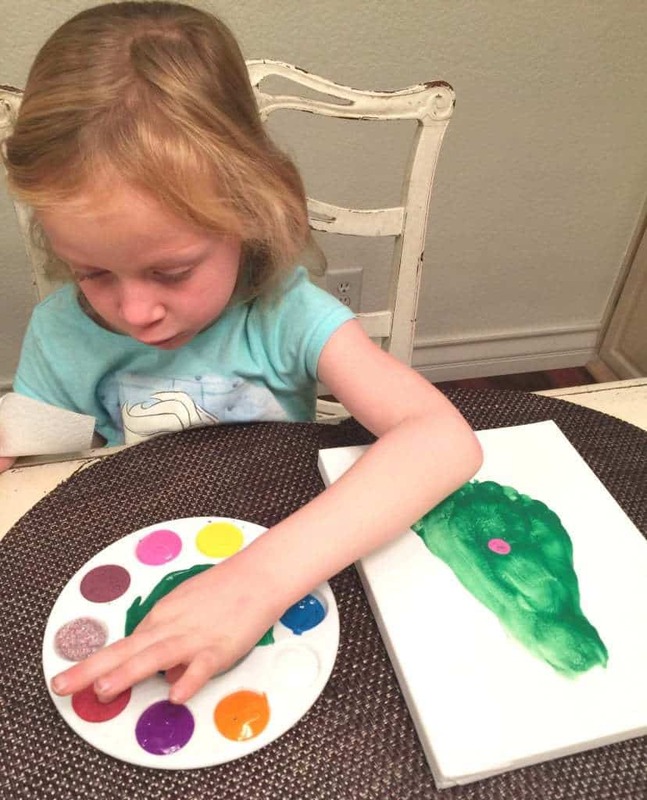 Then hang up your little Picasso’s masterpiece just in time for Christmas! 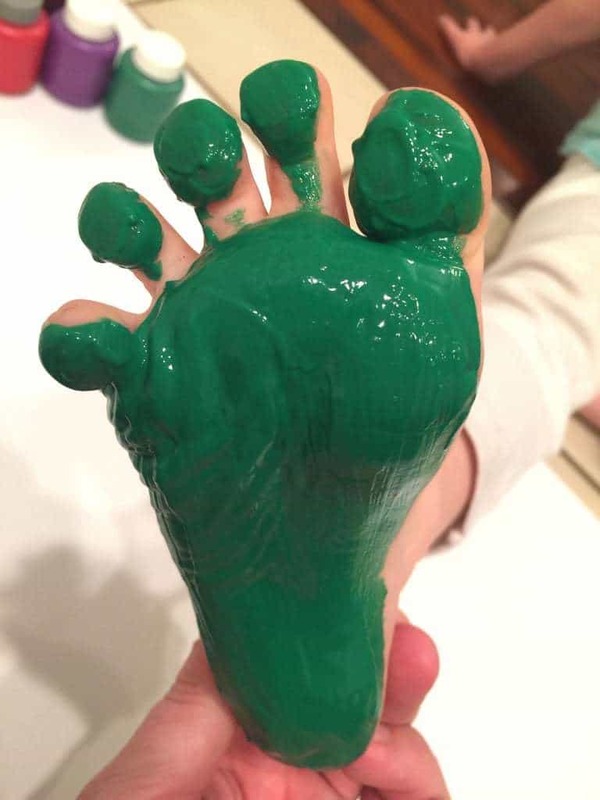 Make sure to have some handy-dandy baby wipes near by to wipe the paint off your child’s feet or your floor might end up looking like this! Field Trip Girl got up before I could catch her and decided to prance around my floor with her little green feet! Cute, but messy! 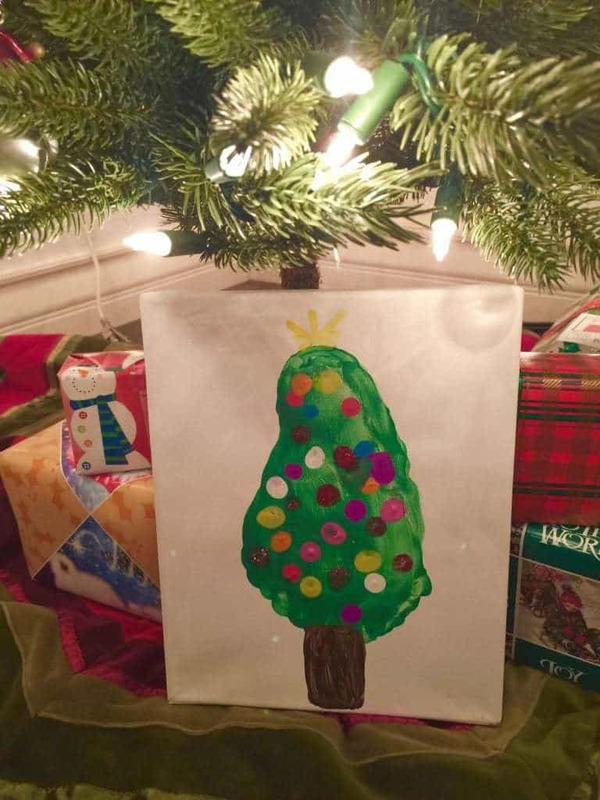 What type of holiday crafts do you like to do with your children?